Kanagawa prefecture is close to Tokyo and is a popular sightseeing destination with numerous hotspots like Kamakura and Yokohama. There are various attractions for visitors and you can learn about the history or indulge in shopping; alternatively, you can attend traditional festivals or art and nature events that are hosted on a daily basis. In this article, we’ll spotlight recommended June events in Kanagawa prefecture. Sankeien is a Japanese garden located in Naka-ku, Yokohama-shi. The garden is a popular sightseeing destination amongst overseas and domestic visitors. There are 17 traditional Japanese buildings in the 17.5-hectare garden. The eponymous Sankeien was established by and named after Sankei Hara (actual name was Tomitaro Hara) in 1906. On November 17, 2006, Sankeien was designated by the government as one of Japan’s scenic landscapes. Sankei Hara built his wealth through the trade of silk; the business tycoon owned factories across Japan, including the Tomioka Silk Mill, a World Heritage Site. Hara practiced tea and was a renowned tea enthusiast; he used private funds to purchase tea equipment and facilities, including temples and folk houses in Kyoto, which Hara later transferred to Sankeien. Accordingly, Sankeien has numerous historical buildings, such as temples, folk houses, and tea houses from the 1330’s. The “Hotaru-no-Yube” event takes place at Sankeien. Visitors can see the magical glow of fireflies at Sankeien, where irises and an illuminated three-story pagoda will welcome visitors. Take in the magical views that can only be seen at this time. Hakone is a popular sightseeing destination amongst domestic and overseas visitors and has an assortment of attractions, including hot springs, nature, and art museums. A reservation-only train, “Yoru-no-Ajisaigo”, is scheduled to run, coinciding with the blooming hydrangeas, through the mountains of Hakone. The popular event is an early-Summer pastime of Hakone. The hydrangeas, carefully groomed by the station staff, paint the train windows from Hakone Yumoto station to Gora station. There are 6 illuminated sections along the route and the train will stop/slow-down at various sections; guests may disembark at Miyanoshita station (towards Gora) or Tounosawa station (towards Hakone Yumoto) for photography time off the train. Enjoy the magical and seasonal atmosphere. All seats are reserved, so prior reservations are required. Garden Necklace Yokohama is an event that will spearhead the “Garden City Yokohama” project, which aspires to protect and nurture the nature in Yokohama. The grand event comprises various spots and programs that will showcase a collaboration between seasonal flowers and the seaside townscape, starting with cherry blossoms in Minatomirai (late March to early April), tulips on Nihon Odori (early to mid-April), and roses in Yamashita Park (mid to late May); a 10,000 sq. meter flowerbed of pastel-colored flowers; and various workshops to learn about flora, such as the “Satoyama Garden Festa”. The event will also feature a mascot character, “Garden Bear”, who will promote the event and cause at various spots around Yokohama city. Explore the city of Yokohama, while enjoying the beautiful flowers. Ka Hula Hoa is an event that celebrates and gathers lovers of Hula and Hawaii. The event will be held for the 21st time at the Yokohama Osanbashi Hall. “Ka Hula Hoa” means “Hula and friends” in Hawaiian. The venue will feature all-things Hawaiian; the brightly-lit stage will have a panoramic view of the Yokohama bay and dancers will perform Hula and Tahitian dances throughout the day. Kumu Hula will also attend the event from Hawaii as an “ambassador of Hula”, preaching the joy of the dance. The venue will have a Hawaiian shopping mall with various shops. In addition, the event will host various Hawaii-related workshops, including the popular Mele Hula, which features live music and dancing, and other hula workshops that can be attended with a nominal fee. Consider attending the event. An exhibit showcasing the works of Isson Tanaka, an esteemed painter who loved Amami (an island in Japan), will be hosted at Okada Art Museum in Hakone. The exhibit will be held for the 110th anniversary of Tanaka’s birth. The exhibit will present 5 unseen pieces of art at Okada Art Museum. Isson moved to Amami Island at 50 years of age and created his own niche by painting pictures of tropical animals and plants. While Isson was relatively unknown before his death, he has recently come under the spotlight after being featured on TV art programs. The exhibit will showcase rare works from his time in Amami, including “Ruddy Kingfisher and White Flowers”, “Three Species of Tropical Fish”, and the masterpiece, “Seashore With Screw Pine” (private collection; on display from August 24 to September 24). In addition, the exhibit will feature paintings by Ito Jakuchu, an artist who pursued realistic depictions like Isson, and works by Higashiyama Kaii, Isson’s classmate at Tokyo Fine Arts School. Take this opportunity to attend the special exhibit. 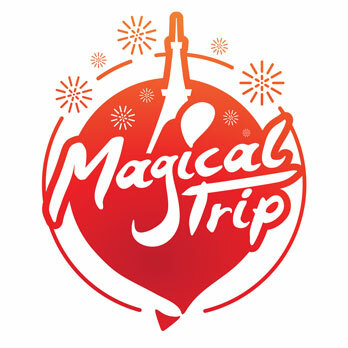 experiencing deep local culture first hand, we, MagicalTrip provide unique night tours with a friendly local guide in Japan. You’ll get to go to local Izakaya bars to enjoy authentic food and drinks, why don’t you give MagicalTrip’s Bar Hopping Food Tours.